Tasha Spillett says land-based education looks at the land as a text and teacher by taking students out of the classroom and into nature. How would you like to attend university classes beside a beautiful lake or walking in the woods, instead of sitting in a classroom? That's the premise behind Indigenous land-based education, where rather than trying to fit Indigenous knowledge inside a university setting, students are taken to the knowledge keepers and learn on the land. 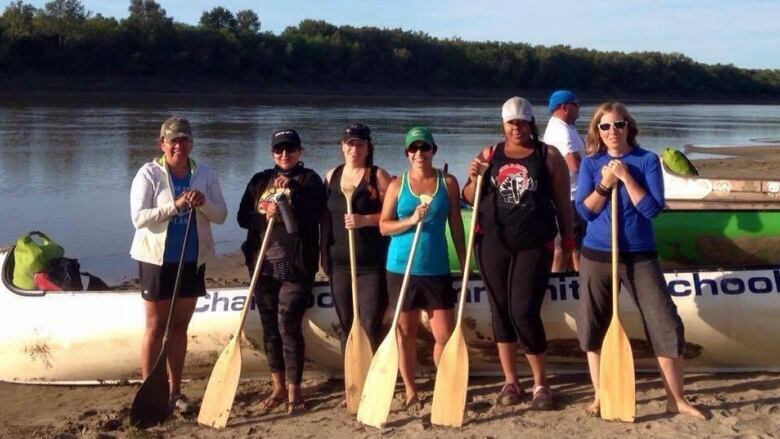 "Land-based education is looking at the land as a text and as a teacher for education," explained Winnipeg educator, Tasha Spillett, who has a master's degree in land-based education and helped teach a group of 20 students in The Pas, Man., for two weeks this summer. The Cree and Trinidadian teacher said students learned about the land, water and animals that live in the territory and their place in it. She admitted it may sound a bit fluffy, but it actually has deep roots in Indigenous knowledge. "We have really complex understandings that have kept Indigenous people alive and our nations alive since the time before we have memory," she said. "So we know that there's a ton of brilliance that exists and is waiting for us in our land bases." 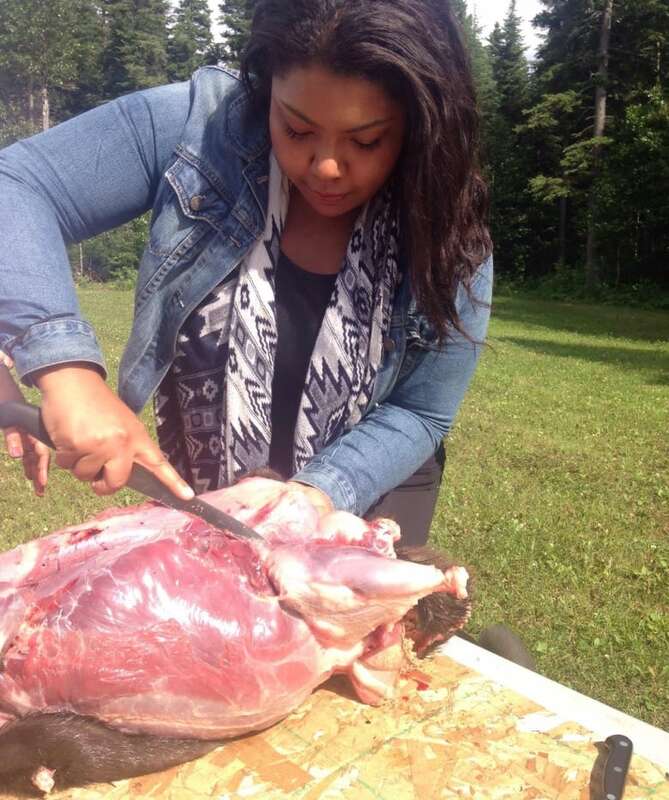 Winnipeg educator, Tasha Spillet skins a beaver as part of a Indigenous Land Based Education project in The Pas, Manitoba this summer. (Facebook)The course, offered through the University of Saskatchewan, was developed by Peggy and Stan Wilson of the Opaskwayak Cree Nation, who wanted to see a change in how academia views Indigenous knowledge and people. Spillett said the experience can be transformative for those who take part. "We can talk about decolonization, we can talk about Indigenization within the walls of the academy, but once our bodies are out on the land it looks and feels differently," she said, recalling the first time she returned to her home territory. She and other students were given an assignment to find a place on the land and spend some time there. "I was super-distracted," Spillett recalled. "I think I was probably texting or trying to find a signal or something. I couldn't let myself be." But Spillett said the more time she spent there, the more she was overcome by memories of her nookum (grandmother) visiting her, drinking tea and picking berries. "All these things about being out on the land came back," she said. "For me, it was a really emotional experience because my grandmother was so intensely ashamed of being Cree. It was interesting because here I was, her granddaughter, coming back home to learn about being Cree." "It shifted the way I view the world because it shifted the way I see myself."